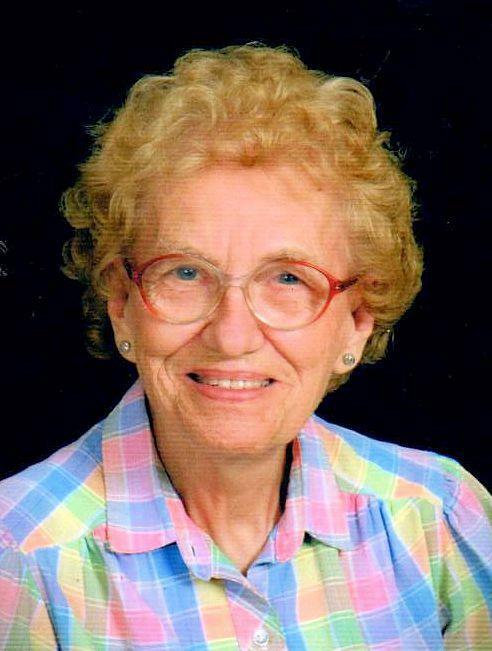 Mable Marie Skillman, 92 of Petersburg, MI formerly of the Hoyleton area, passed away at 5:30 a.m. on Sunday, February 10, 2019 at her home. She was born on August 5, 1926 in Centralia, the daughter of Fred and Emma Adlay Poggemoeller. She attended Centralia Grade School. She married William Charles Skillman on July 4, 1948 in Hoyleton and he passed away on June 11, 2005. Also preceding her in death were her parents, a daughter; Charlotte Skillman, brother Raymond Poggemoeller and 2 sisters; Irene Poggemoeller and Selma (Ralph) Koelling. Left to mourn her passing is her grandson; Benjamin (Kelly) Breitner of Tecumseh, MI, great grandchild; Bailey Breitner and her identical twin sister; Mildred (Eldor) Kasten of Joliet. Mable worked for Ziegler Manufacturing, Joliet Arsenal, Sunbeam Corporation, GM Fisher Body and Lay-Z-Boy retiring in 1979. She was a member of the St. Peter’s Lutheran Church in Petersburg where she was active in the Altar Guild. She loved flying and gardening.